An aggrieved deputy Chairperson of the Electoral Commission, Georgina Opoku-Amankwa, has put up a strong defense against the twenty-five (25) points of allegations leveled against her by the Chairperson of the electoral management body, Mrs. Charlotte Osei. In her response to those allegations, Madam Opoku-Amankwa noted that the Chairperson of the EC allegedly rejected the official office that was used by her predecessor, Dr. Kwadwo Afari-Gyan, claiming that office was not safe and fit for her occupation. She also allegedly rejected a V8 Land cruiser vehicle that was used by Dr. Afari-Gyan as his official duty vehicle on similar grounds. Charlotte Osei, she noted, instead opted for the office of the Human Resource Directorate since that was convenient for use. She said a bill covering the works done was submitted for reimbursement but was subsequently withdrawn after it was vehemently opposed for non-compliance of the procurement process. The EC Chair, Madam Opoku-Amankwa further noted, chose to live in the accommodation provided by the NCCE claiming that the “official residence her predecessor used is not fit for her status”. 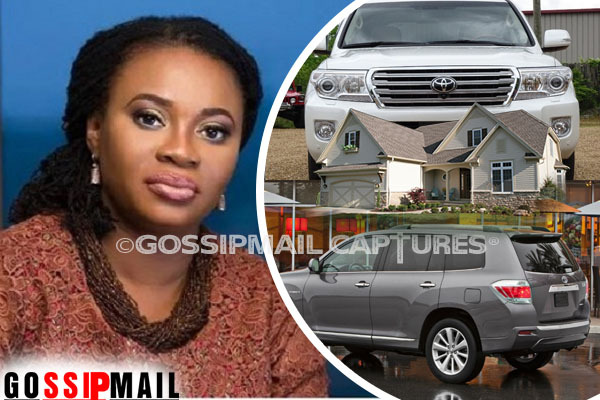 Interestingly, Charlotte Osei also declared the official V8 Land cruiser that was used by Dr. Afari-Gyan as unfit to use. The EC boss in her response rubbished such claims and argued that she does not use a vehicle with the said registration number. However, she admitted taking a vehicle from the Office of the Chief Staff as her official vehicle insisting that was not a new practice in Ghana’s public service. “Indeed, the office of the Chief of Staff provided and continues to provide vehicles for many government institutions and appointees. The Chairperson could therefore not have compromised her independence or neutrality as she neither requested nor lobbied for the said vehicle,” she noted in her response to the claim raised by the petitioners.